This is Not Confirmed, but then How Active is Yellowstone? 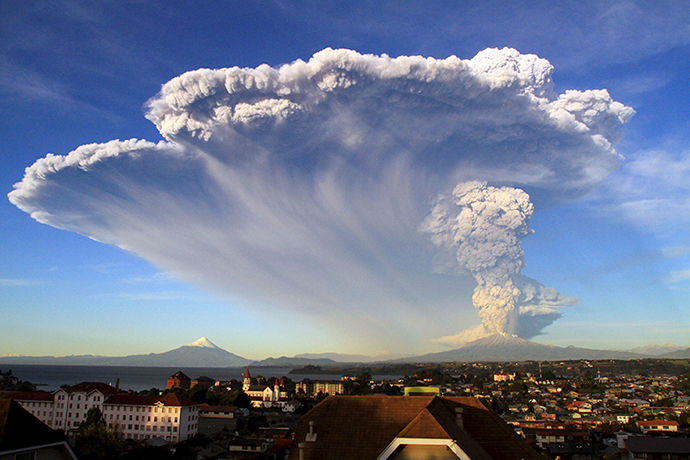 Chile was first, followed closely by Nepal and now Yellowstone is showing too much activity to be ignored. The creatures who want to own this world have been making outright war upon the people and nature the world over for centuries: Maybe now nature just might be fighting back. Watch Season 1 Now This explosive docudrama imagines what would happen if the super volcano on which Yellowstone National Park sits erupted. It’s a 2005 film. The above is prologue: As the events of all three of these catastrophes above, are now unfolding in real time. However none of this is taking place in the kind of world that is ready or able to confront what might be coming soon to the United States. That is a true statement because all of the agencies of the Federal Government mentioned in the film were there when Hurricane Andrew hit and killed over 5700 people. Clinton was “responsible”. http://www.karenlyster.com/andrew.html They were the same agencies that were present during Katrina, when Bush Jr. was RESPONSIBLE and in neither event did any of the responsible agencies or the government do anything to lessen the disasters one bit: Basically they all just watched people die. Yellowstone is too big to allow that to happen again. The nation also endured the death of the Gulf of Mexico during the BP Disaster that’s still not been investigated. And let’s not forget Fukushima, where the US government helped build the Stutnex device, with Israel, that began the nuclear nightmare that the world is only just now beginning to even notice. If Yellowstone is to be dealt with in a credible way then none of those agencies can be “responsible” (this time) for the safety of Americans; if we are to survive whatever might be coming from that huge and ancient caldera that we still call Yellowstone. But that still leaves the surrounding events planned for JADE-HELMS -15, whose motto is: “MASTER THE HUMAN DOMAIN” which includes an overview of the US with Yellowstone and some possibilities regarding the mysteries surrounding the closed Walmart Stores: Which could explain why most of JADE-HELMS will be focused on that portion of the US which might escape an eruption from Yellowstone.